Can you imagine following this routine for EVERY individual item you consume, the energy you use in your home, your transport, services you use and each item/good you come in contact with day to day? How can answering a few questions on a questionnaire give an accurate representation when in reality there are so many variables to take into account? 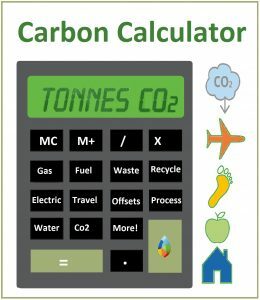 Measure and manage your greenhouse gas emissions by completing this two day ISO Carbon Footprint Measurement Course. For additional information or to make an enquiry please click here. Today’s conference is chaired by Herbert Mulligan, the Editor of Health and Safety Review magazine. Established in 1995, The Southern District of IOSH Ireland Branch’s purpose is to provide a forum in the Southern region of Ireland for professionals working in all areas of health and safety and risk management to network and share ideas. The Southern region of Ireland branch has a membership of over 400 professionals. They host many enjoyable events, both evening and half-day, for IOSH members throughout the year. They also run a number of site visits to different projects in the greater area for the benefit of their members. 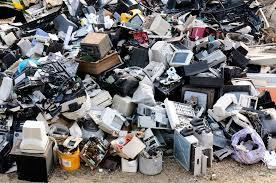 Each Year almost 50 million tonnes (and €55 billion) of e-waste is produced globally. This is made up of smartphones, computers, household appliances and more. Despite containing billions of dollars’ worth of reusable materials such as metals and rare earth elements, currently only 20% of electronics are being recycled. Millions of tonnes of e-waste is ending up in landfills, wrongly mixed with metal waste, or illegally exported to poorer countries for a fee. FACT: An average smartphone contains up to 60 prized metals elements! The UN, the World Economic Forum and the World Business Council for Sustainable Development, recently gathered in Davos. It was here that the “Global Reboot” call for action to counter e-waste was launched. Ruediger Kuehr, programme director at United Nations University and expert in e-waste, noted that if things continue, we will have 120 million tonnes per year of e-waste by 2050. It is hoped that in the same way that plastic waste has become a hot topic in recent years, governments, businesses and consumers will now explore ways of reusing and repurposing electronics so as to limit the environmental fallout. FACT: Although E-waste represents only 2% of physical waste in landfills, it accounts for up to 70% of the hazardous material. To achieve environmental excellence when it comes to prevention of pollution and elimination of waste going to landfill, we at Chris Mee Group use an e-waste recycling service. This company has a Zero Landfill Policy and ensures the highest level of global environmental standards are adhered to when disposing of equipment. Waste reduction and management are crucial in all business sectors. CMSE Consultancy is recognised as one of the best providers of expertise in this area nationwide. Carbon Action Hosts Masterclass at Climate Change and Ecological Protection Initiative, Singapore. Environmental Director at Carbon Action, Fergal Mee recently delivered the second GHG (Greenhouse Gas) Masterclass in Singapore. Over a five day period, attendees from Singapore, Malaysia, Hong Kong and India participated in training organised in conjunction with our Singaporean partners Sustinere Pte Ltd..
Two courses were provided, each based on the ISO 14064 Standard for Greenhouse Gas Management. The first course discussed the approach of creating a GHG inventory of a “Carbon Footprint”; the second on how to independently verify such inventories. The footprint course has broad applications for those working in the area of GHG Management, the second is a more specialised course to train Sustainability Consultants and Accounting professionals, who provide independent verification services to their clients, to ensure emissions are properly counted and accounted for. Interest in GHG Management has surged in Singapore, following the introduction of the Carbon Tax in January 2019. At this point, the new carbon tax only applies to companies with high emissions. Predictably, these are the companies most invested in educating their staff, so they could properly prepare to measure, manage and reduce their GHG emissions. Over time however, the tax is expected to apply to companies with lower emissions levels, requiring more companies to have a carbon mitigation plan. We expect similar developments in South Africa if/when they implement their Carbon Tax in 2020. Carbon Action will be conducting a GHG Masterclasses in Nigeria in April 2019 and Rwanda in Q3. The aim of this initiative was to reduce paper Usage in 2018. To do so, all employees ensured that their Printer Default Settings were set to Black and White and Double Sided printing. Progress was tracked on a quarterly basis by monitoring the paper orders made in that time. Reduction in Paper Orders of 14% versus 2017 which is equivalent to 7 trees!! !